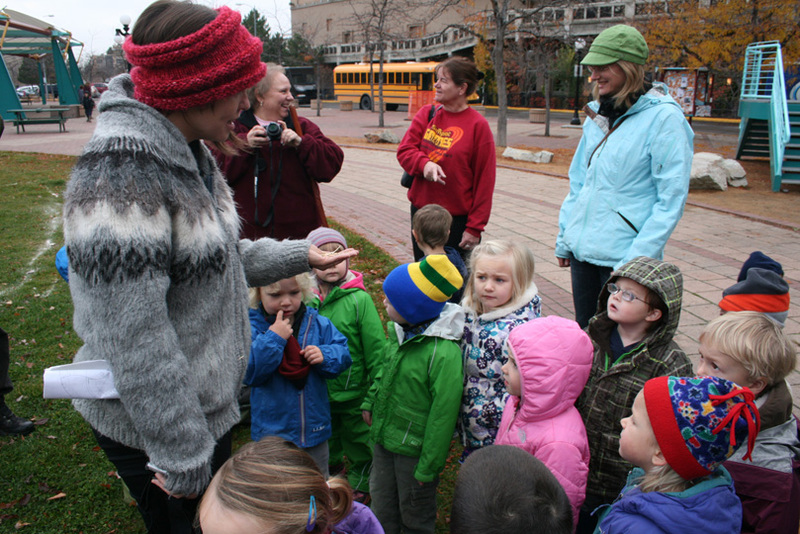 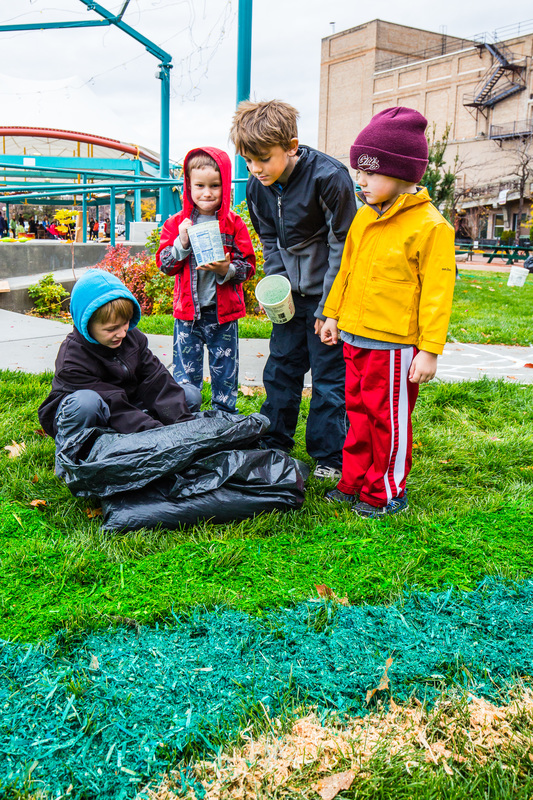 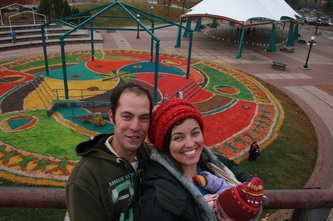 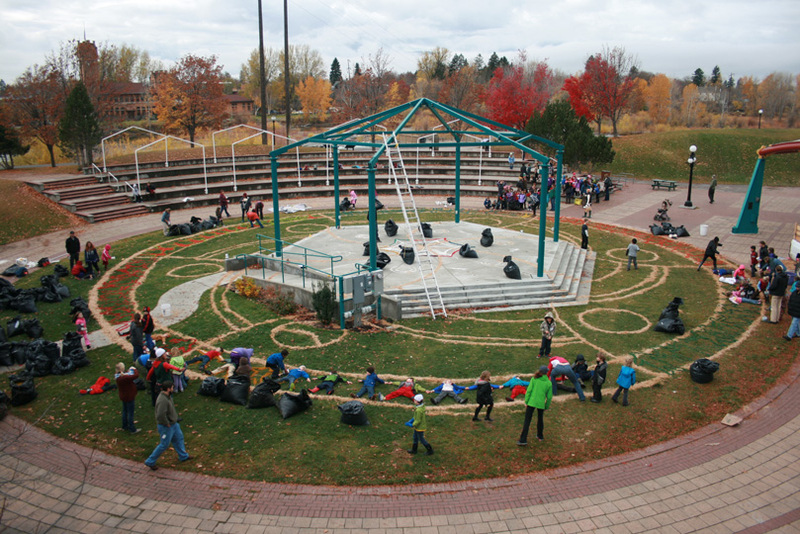 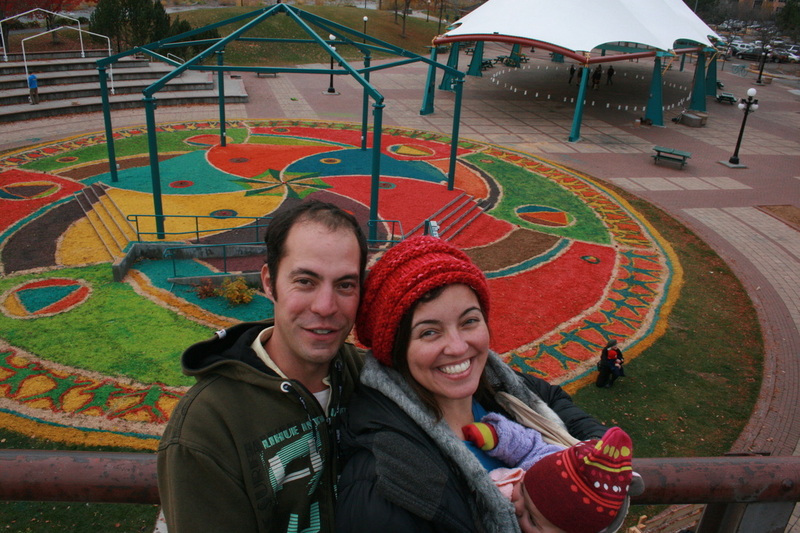 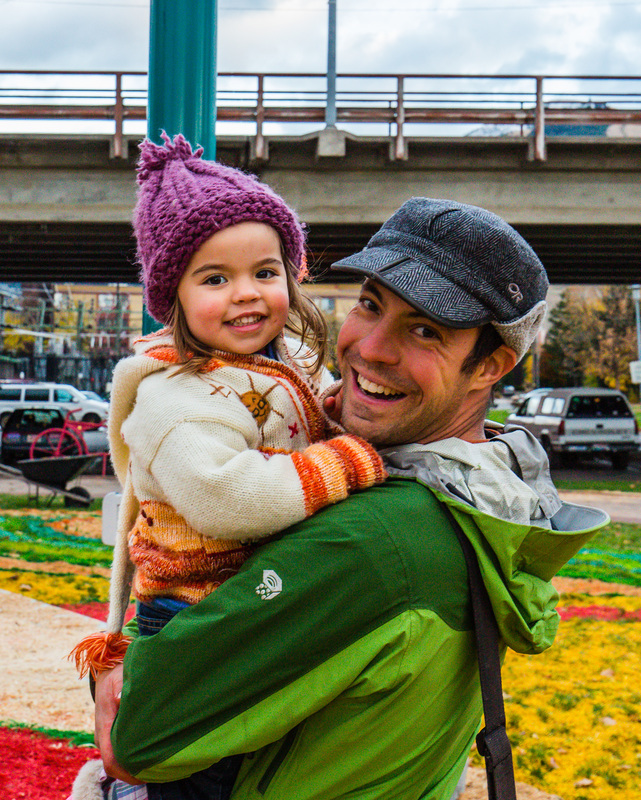 The Missoula Mandala project is a site-specific public art installation available to everyone. What makes this project unique is that it depends entirely on community participation. 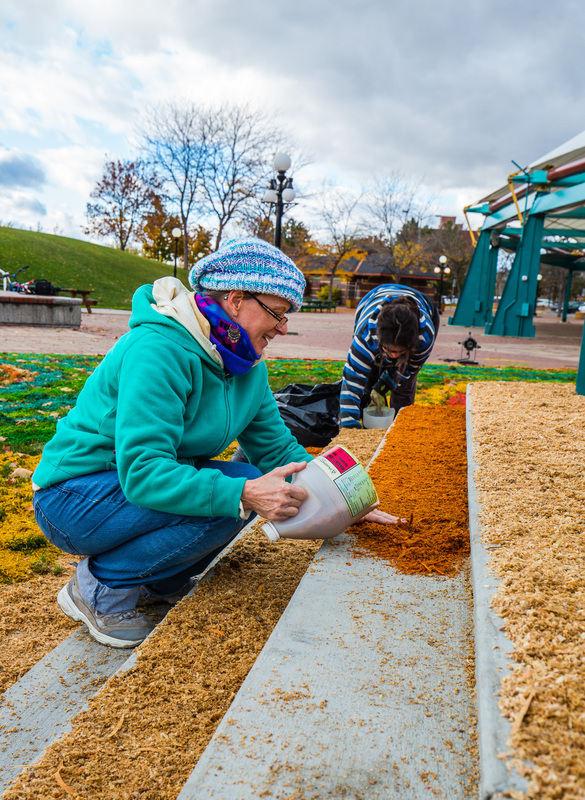 The other thing that makes it special is that the 10,000 square foot design in colored sawdust is created and then swept away all within 24 hours. 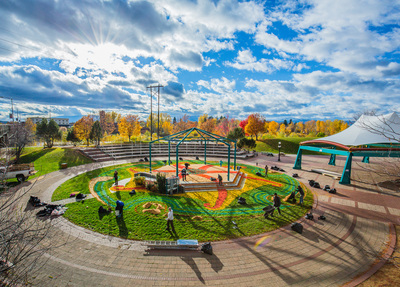 The project takes place during the Day of the Dead on November 2nd, a day dedicated to celebrating our beloved ones who have passed away. 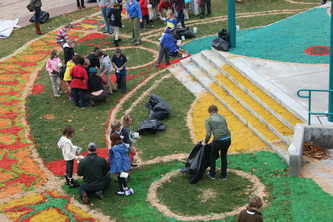 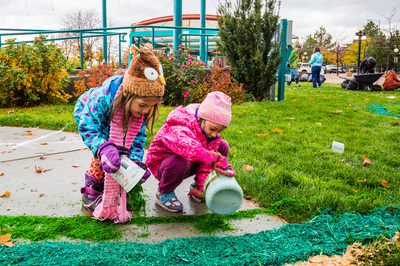 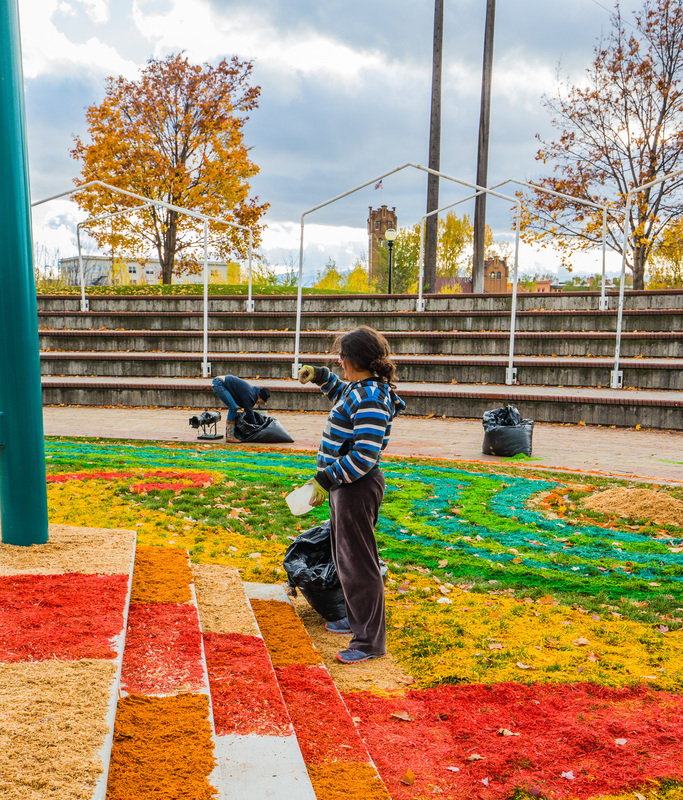 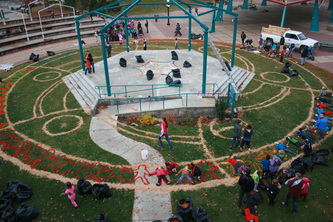 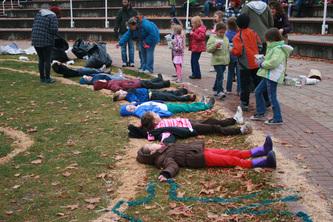 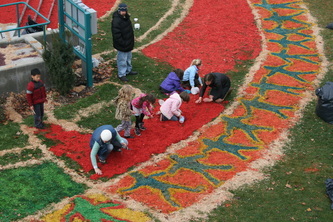 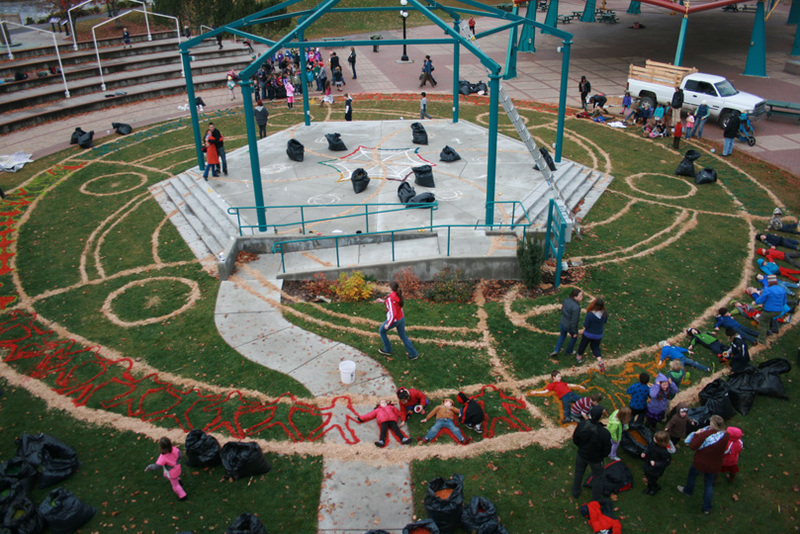 Hundreds of students and adults work together all day to spread the colored sawdust in a unique design. The Mandala beautifies Missoula’s treasured Caras Park in the heart of our downtown, and provides a centerpiece for the parade that ends in Caras that evening. 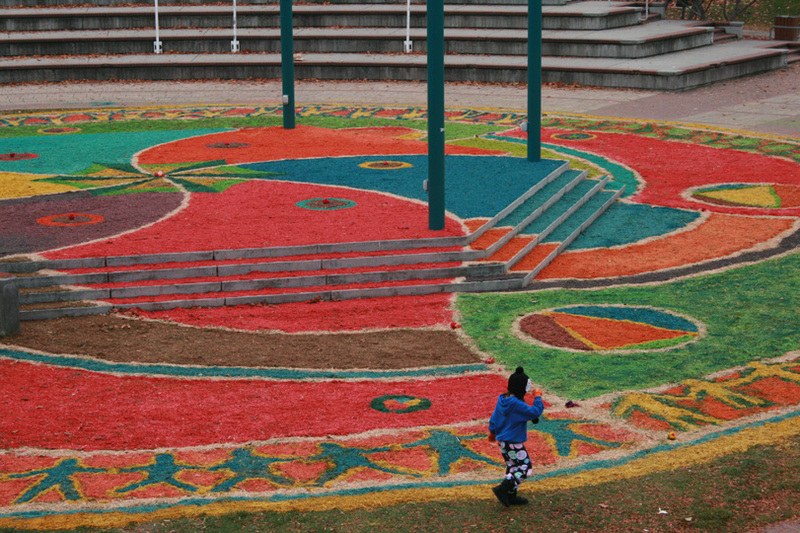 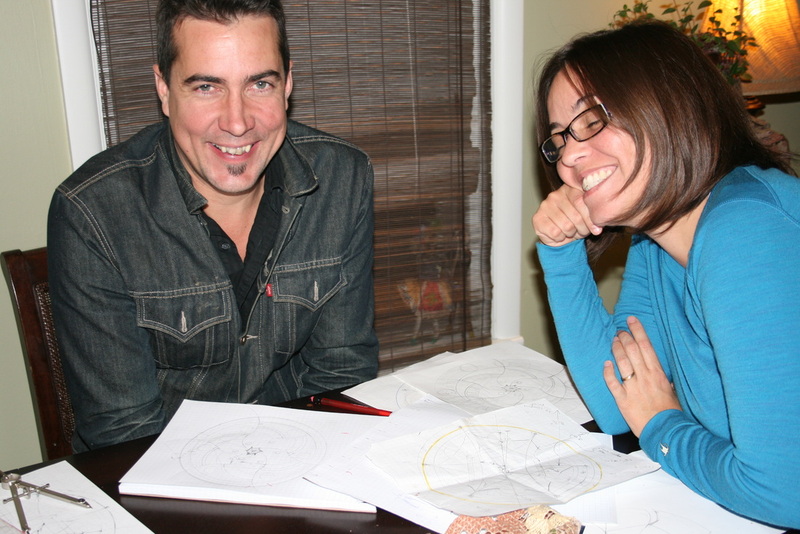 The Mandala Project does not express any particular belief or cause, instead it creates a space where people of all walks of life and beliefs can work together. 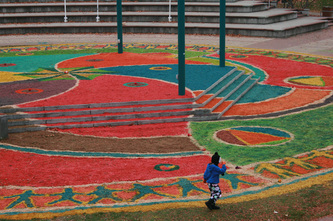 The space has a different significance for each individual. 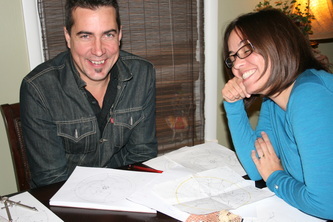 We invite you to join in the space, and to bring your talents and creativity to the project!